Food. It is something we all love, of course because aside from the satisfaction we get from it, we are also given the nutrition we need. Food is our daily battery that helps us keep on going. Without it, we would never be able to live. There is this one guy who has expressed his love for food through art. And the result of his work is just amazing! 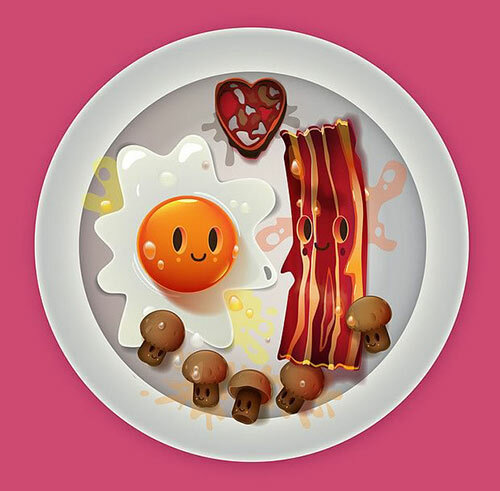 Jonathan Ball of Pokedstudio works on 3D designs from characters to illustrations. If you see his portfolio, you will be impressed of how he works with colors and shapes. His works reflects fun and is full of life. 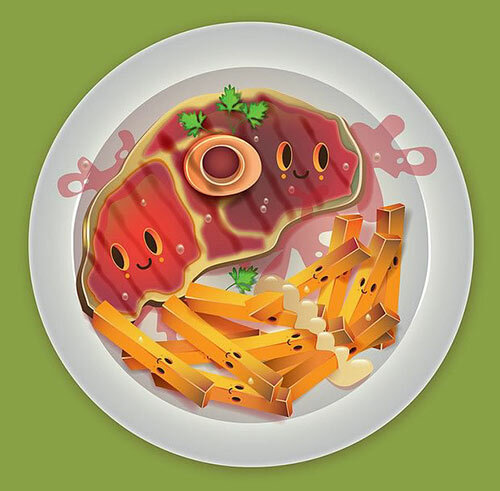 Just take a look at the food illustrations he did which were seemingly brought to life! 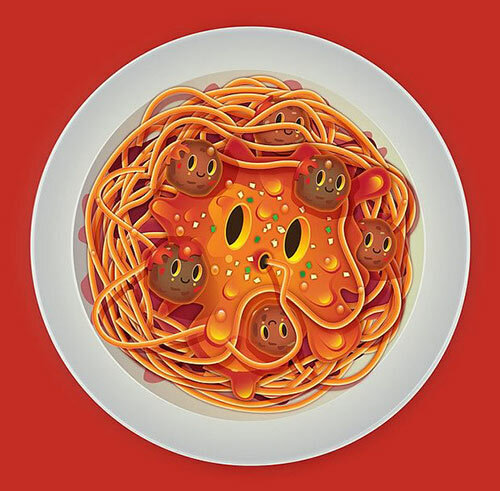 Yummy spaghetti! 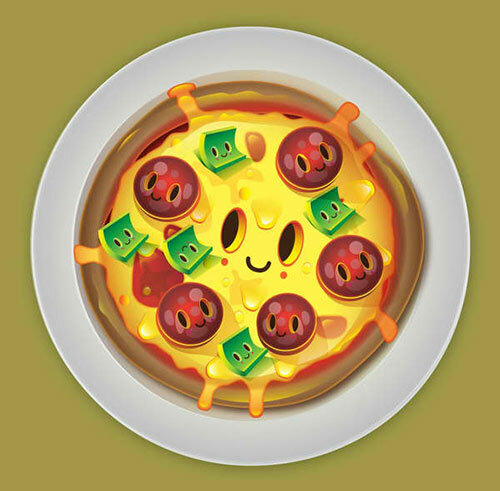 But I’m not sure if you’d like to eat this for it looks happy and eating it might make it feel sad. Bacon and egg fell in love! They really look cute, right? Such a couple! 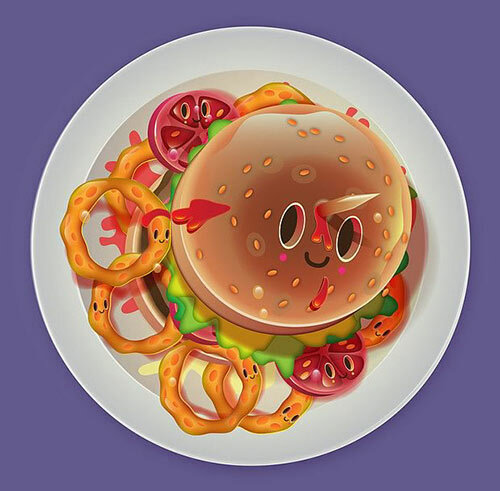 And here is a happy burger that looks yummier than ever! The colorful candies on top of the white frosting aren’t just cake decors but it brings more fun to it. Looks like this is a jolly team here! The peas are cute! Hmmmm… Just the colors in this foodie will leave your mouth watering! 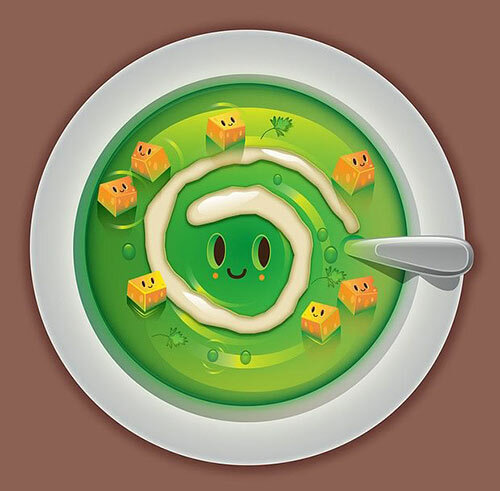 A luscious soup is here for you and they are served with a smile. Pork and fries look good together. But they also look very delicious too! 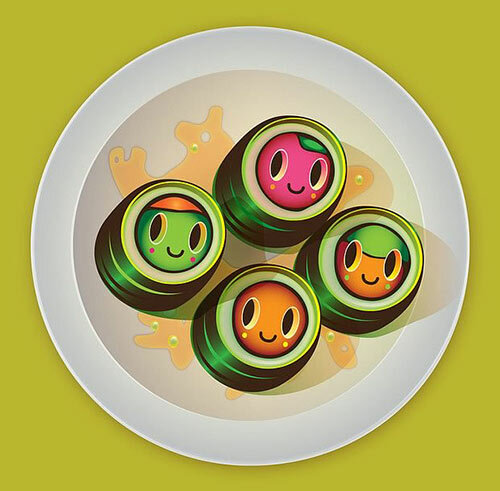 Oh, how cute these sushi are! How about a bunch of sweet treats? 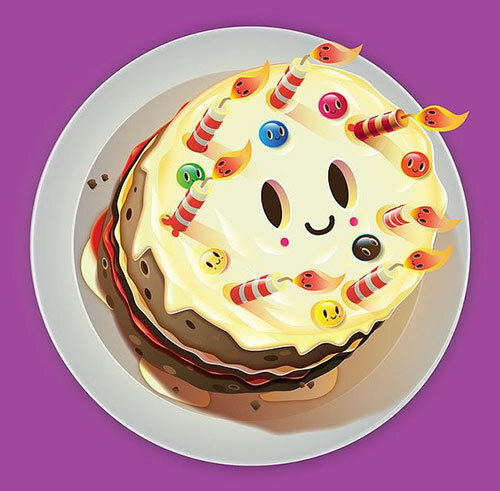 From ice cream to donut! So, what can you say? 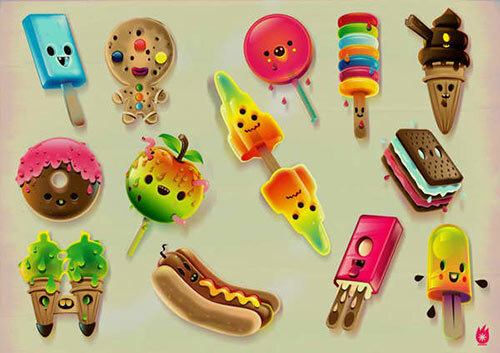 We know that this round-up of Jonathan Ball’s I Love Food series will make you love food even more! What we like most in his work is the cute details and fun colors he used to create them. 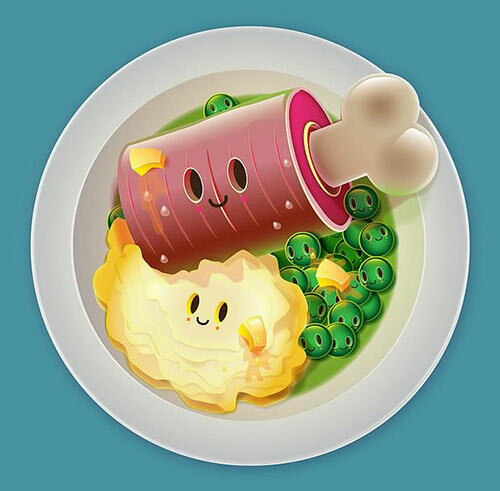 Who would think that food can appear as fancy and adorable as this?